If you haven't seen it already, I recently went to Chicago for the weekend. In fact, I even did a "Snapchat diaries" post on it, for you to catch up with my life. However, that post only covered the tip of the iceberg. 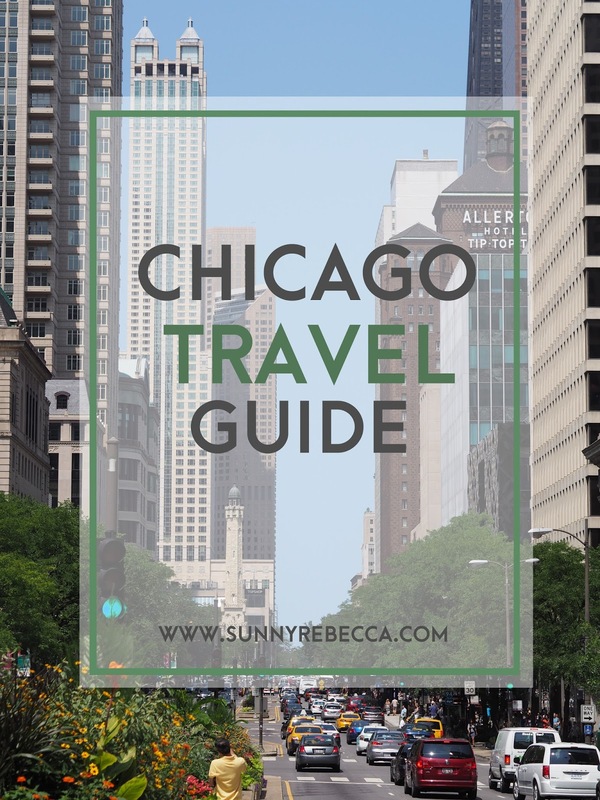 I figured that it would be best to create a travel guide for future visitors to Chicago covering the best spots. I've visited Chicago quite a few times in the past, so I have visited a ton of the tourist attractions and there are definitely some that have stood out more to me based on my experiences. These are what I consider the must-do things in Chicago so that you can have the best time ever next time you visit. 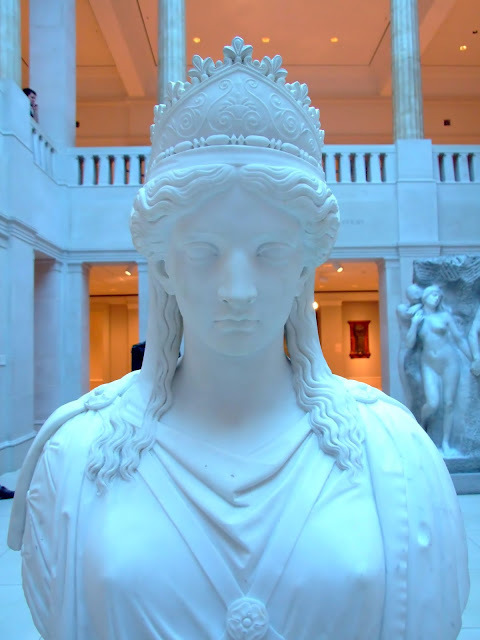 The Art Institute of Chicago has such a nice variety of works. While it may not be the Met, it was actually the #1 voted museum in the world in Trip Advisor's Traveler's Chocie 2014. It houses some famous works, including The Bedroom by Vincent Van-Gogh, American Gothic by Grant Wood (that famous farmer pitchfork painting), A Sunday Afternoon on the the Island of La Grande Jatte by Georges Seurat, Two Sisters (on the Terrace) by Pierre-Auguste Renoir, Paris Street; Rainy Day by Gustave Caillebotte, and more. In addition, there are also some hidden gems that are just as amazing as the famous works. How long you'll spend here: It's a pretty big museum, so I would plan out quite a bit of time to spend in there. For the average person, maybe the whole afternoon, but if you're a real art connoisseur, carve out the whole day. As someone who is not that interested in natural history, I was pleasantly surprised to say that I enjoyed spending time there. Obviously, if you're more interested in natural history, then it would be a ball for you, but even if that's not your thing, you can still enjoy yourself here. The Field Museum of Natural History has so many exhibits, from the largest, best preserved, and most complete T. rex skeleton, to Ancient Egyptian mummies, to a Pawnee Earth Lodge, gorgeous gemstones, a DNA discovery center, and more. You're likely to find at least one exhibit that you like, considering what a large variety that they have. There's some stuff about dinosaurs, some about ancient civilizations, science, animals, you won't be disappointed. How long you'll spend here: Anywhere from a whole afternoon to the entire day. The Museum of Science and Industry has definitely been a childhood favorite of mine. I've visited a few times when I was younger and I LOVED it there. 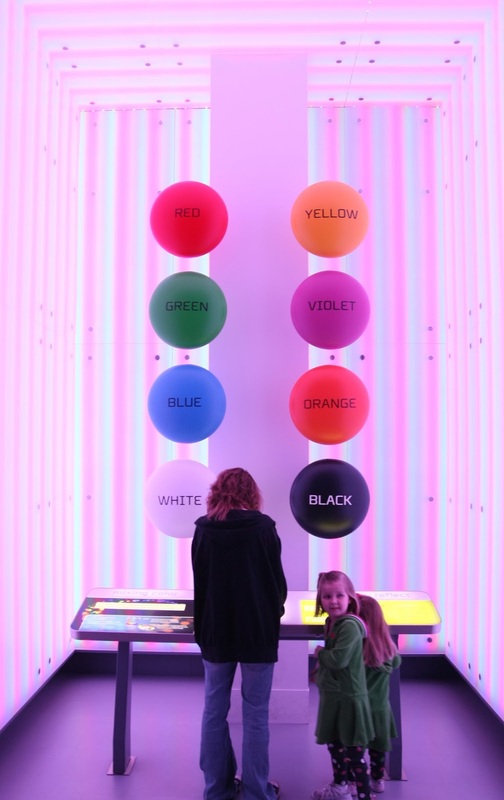 There's so much hands on stuff that makes it super kid-friendly, but they have such creative and interesting exhibits. It helps to capture the attention of people that aren't that interested in science and industry by putting a fun twist on it. There are so many exhibits, some of my favorites were the Silver Streak (one of America's first diesel-electric streamline passenger trains), Farm tech, and Yesterday's Main Street (an experience of America in the 1900s). Even though it's definitely more aimed at kids, I still think that I would love to return, it was definitely the kind of place that makes you feel like a kid again, even if you aren't one. How long you'll spend here: Anywhere from the afternoon to the entire day. Visiting the Bean is an absolute must. It's famous and well-known, and photographed about a thousand times. So why not jump in on it? Something about this mirrored glass distorting the city skyline (and for the totally cool selfies) brings so many tourists. The Bean was apparently the winner of a design competition and look at it now. If you're visiting Chicago, you can't not visit the Cloud Gate, or its other name, the Bean. How long you'll spend here: You can literally spend about 10 minutes here and leave with the whole experience. What time you should visit: It's always crowded here, so if you're looking for the time for the perfect selfie, try visiting in the morning before it gets too crowded. This place is a hidden gem. I'd say that if you're a fan of architecture, this building is definitely a sight. It has a gorgeous design and not to mention some great art, whether it's a performance or their art galleries. 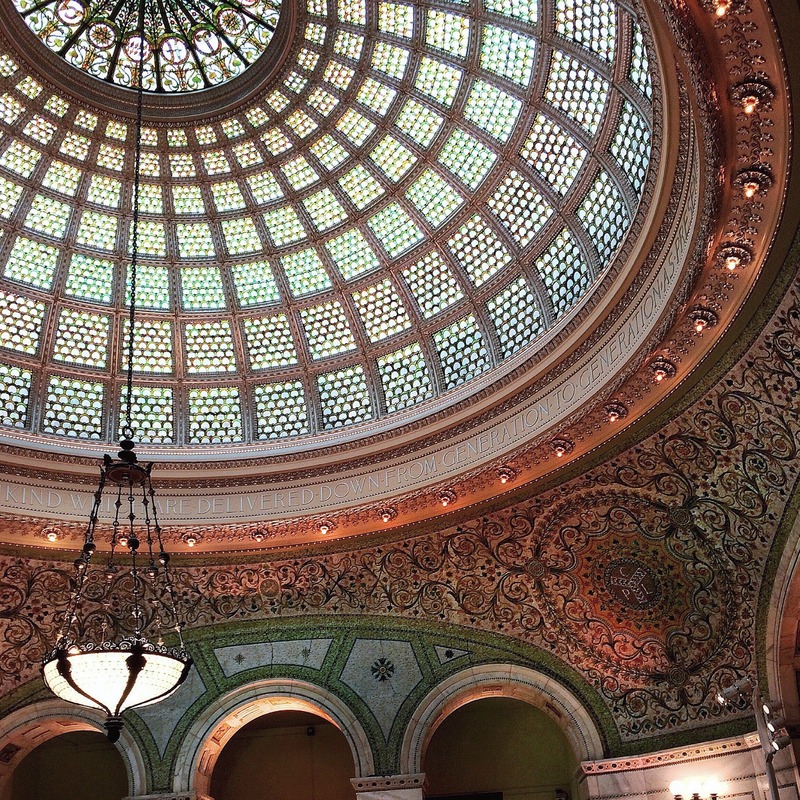 It's best known for the Tiffany Dome, which I have to admit, is rather spectacular. This neoclassic building has it all, some great photo opportunities in front of the Tiffany Dome and some free attractions that you can take advantage of. 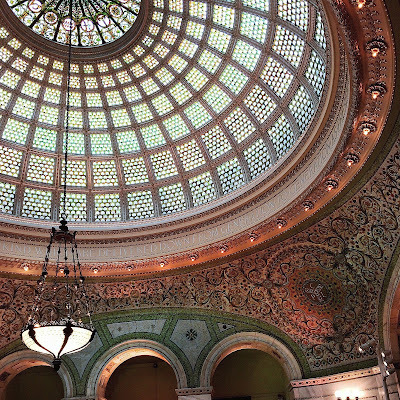 The exhibitions constantly change, so if you're a frequent visitor of Chicago, you can still revisit it and have a totally different experience from the previous visit. Here is the list of upcoming events and exhibitions! How long you'll spend here: You can spend anywhere from 15 minutes here to a couple hours. If you're planning on just seeing the building, it's a quick 15-20 minutes. However, if you're stopping by for an event of an exhibition, you'll probably spend a bit longer, especially if you like what you see. Even if you're not much of a shopper, you can still have fun at Magnificent Mile. Magnificent Mile is the 13 block stretch of North Michigan Avenue that runs from the banks of the Chicago River to Oak street on the north side. There are so many fun shops on the Magnificent Mile that are not your average stores that you would find anywhere. My favorite stores on the stretch include Eataly (which I went more in depth on in my Snapchat diaries post) and the Ghirardelli store. Big cities are so much fun for window shopping, especially because the stores are a lot bigger and the window designs are a lot more interesting. One great thing about Chicago is that there's tons of public art. There's the Crown Fountain (which kind of counts as art? ), the Picasso, 1004 Portraits, Agora, and more. Here's a list of some public art in Chicago! In addition, Chicago has lots of wall art, which I am all for. I love how vibrant and creative wall art can be. I found this Chicago street art guide and there are so many hidden gems of art out there. You can definitely have a photo adventure and find as much wall art as possible and take a picture in front of every one. There's a lot more than what's on this list, so have a scavenger hunt with it! Think the picture is stretched? Think again! This is part of the 1004 Portraits monuments! Looking for a calm afternoon? Walk along the Chicago Riverwalk and take in the views. You can ride a bicycle, walk, sit, enjoy the river and the atmosphere. If you'd like to see the Chicago river and skyline with some great photo opportunities, there are tons of boat tours that you can take on the Chicago river and/or on Lake Michigan. I talked about my experience taking an architectural boat tour in my Snapchat diaries post, if you'd like to know more about this in depth. Whatever you end up doing, the Chicago Riverwalk is definitely worth checking out. Get some exercise while living for the city atmosphere. When in doubt, explore the city. The fun thing about cities is that you can walk around and get lost. You can discover hidden gems just by walking down the street and you can have fun just by being there. There are street musicians, fun public art, beautiful parks, and more. If you're visiting Chicago sometime soon and would like to ask for some opinions on tourist attractions, feel free to ask me! Comment, send me and email, tweet me, I would love to help out travelers! If you're not heading to Chicago, hopefully you can visit sometime soon, because it's definitely a gorgeous city.